around the stores locally, but it's time for a quick review in case anyone out there is debating buying a 6-pack. Or just wants to know what I think. I actually picked these up while at Spec's in Houston but it's all over Baton Rouge as well. I've seen it recently at Calandro's and Matherne's and I have no doubt that other go-to beer places (or even the bigger grocery stores) will also have some 6-packs on the shelf. This is one of Sierra Nevada's four seasonal ales to go with the Summerfest, Tumbler, and Celebration Ale. It's a bit early for a Spring beer, but as they say, it's meant to "create a complex ale for the tumultuous transition to spring." And so far in 2011-12 we have barely had a winter anyway! Back to the beer... I poured into a Karbach Brewing pint glass, it's a dark amber color, clear with a white head. Not bad looking, but nothing absolutely amazing. The aroma is really strong with rye and not surprising from Sierra Nevada a good many hops. There is a faint caramel malt balance underneath as well. The flavor profile is quite similar to the aroma except the hops are more pronounced while the malts fade. The rye adds a nice spice to the beer similar to a rye whiskey. The mouthfeel is very medium bodied beer with a strong rye aftertaste. Another good beer from Sierra Nevada. Obviously if you aren't a hops fan this is one to avoid, but if you like the hops this one is worth buying a 6-pack or sharing with some friends. Attend a "Raise A Glass" recording 1/24 at Roux Wine & Spirits! Tomorrow night, January 24th, we will be having our first ever on location recording of the Raise A Glass radio show. The recording will be at Roux Wine & Spirits, on Airline Hwy. in Prairieville in the same shopping center as the Rotolo's. If you want to google maps it, the address is 17540 Airline Hwy, Ste E, Prairieville, LA 70769. 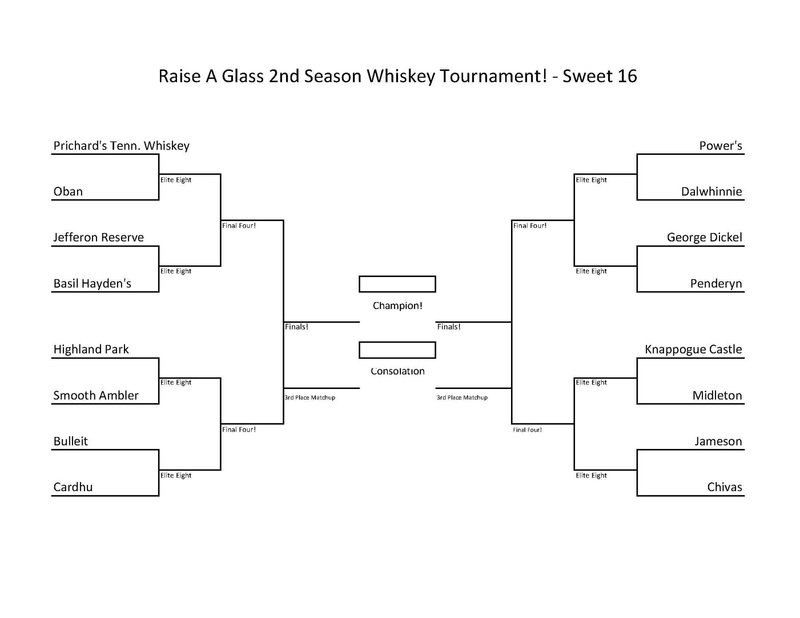 The party starts at 7, with the Final Four episode being aired, and then we will tape out finals episode where we name the Raise A Glass whiskey tournament champion! The owner will have all of the Final Four whiskeys on hand to try and if there is a tie among the four panelists, the crowd is the tiebreaker! It won't be aired live, but we will be recording as if it was. It would be fantastic to have a good turnout, so please come out and bring some friends. There will be good booze, good people, and good fun! If you haven't been following the whiskey tournament you can always catch up on iTunes here! And always, Raise A Glass. Yeah, I had to try it. Big Flats 1901 Lager Beer, for those blissfully unaware, is the new-ish lager from Walgreens that sells for a whopping $2.99 per 6-pack. It's contract brewed (of course) through World Brews which does contract brews for other stores like Trader Joe's and Costco. The real question is... just how bad is this beer? Is it so terrible that even the 50c per can price tag is too high or is it drinkable enough to where I might pick up a few for a canoe trip if the money is tight? Surprisingly I think the answer is the latter... this beer is by NO means good, it's a pretty mediocre beer at best, but it's cheaper than the big boys and in situations where quantity is valued over quality there's not reason not to grab a few packs. It's not like I'm looking for a quality beer when I do reach for the Bud Light or Miller anyway right? So, in short, I think this beer accomplished its goal, which is to be a cheap as hell minimal flavored lager. The 4.5% abv is coming in between the light beers and the mainstream adjunct lagers and the flavor is about on par, as in minimal. So, the next time I feel like bringing some cheap cans of alcoholic water canoeing, this might be the ticket. Unless of course the bank account says I can afford some cans Tin Roof Amber or NOLA Blonde... then the Big Flats is off the list. And it's back, Draft Magazine's list of America's 100 Best Beer Bars! The 2011 version featured a couple of New Orleans beer bars... Avenue Pub (duh) and Cooter Brown's. This year, however, Cooter Brown's failed to make the cut, so Louisiana is down to one of the top 100 beer bars in the country, as Avenue Pub is on the list yet again. So congrats to Polly and everyone at the Avenue Pub for some much deserved recognition! Unfortunately it's also time to talk about a few bars that I feel were snubbed... two from Houston, the Petrol Station and the Ginger Man Pub. Neither made the list, and in fact only one beer bar from all of Texas made the cut this year, the Draught House Pub & Brewery in Austin which I have not had the pleasure of visiting. I guess it's hard for me to REALLY be critical when I've only been to two beer bars on the list, Avenue Pub and Humpy's Great Alaskan Alehouse. 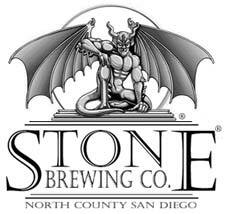 Despite that, I really feel like the Petrol Station especially is deserving of a spot as they were named the most bitter bar by Stone Brewing! That's a pretty special accomplishment and it shows up in their tap list. I guess there just isn't enough room for all the great beer bars out there, but maybe in 2013 I won't have to mention who I feel got snubbed! Just an update on the Raise A Glass season 2 Whiskey tournament! We are down to our final 16 whiskeys so things are really starting to get good! Be sure to tune in Fridays at 6 or Sundays at 4 on WHYR 96.9 FM in Baton Rouge, or listen and catch up on iTunes! It's also never a bad idea to follow the show (or myself) on twitter! Click on the bracket to see an enlarged version! First off, thanks to Jay over at BiteAndBooze.com for hooking me up with this one as a Christmas present! I've seen it at Calandro's lately and also at The Cove so here's a review while it's still on the shelves and available! Epic is a brewery out of New Zealand that is fairly new to our market, but they have put out some really good beers. For those that watched Brew Masters, the New Zealand collaboration beer was between Dogfish Head and Epic, so you might remember the brewery from there! Now for this beer... I poured from a .5L bottle into an imperial pint... it's remarkably clear, with a frothy white head that takes up 1/4 or so of the glass on the pour. Really nice retention and some of the best lacing I've seen in a while. Good looking beer. The aroma is expectedly hoppy with a hint of the barrel aging. The wood flavors come through more each time I stick my nose in but they still are the secondary flavor in this aroma. The barrel aging comes through a lot stronger on the taste, but I'm not sure it's entirely a good thing. It's not bad but I sense a little confusion and competing rather than augmenting the natural style. It gives the beer too much going on rather than the right amount of flavor complexity in my opinion. It's got good carbonation with a strong grapefruit hop finish. I'm enjoying this one for sure but it's not 'world class' just a good beer. This one, along with Epic's other brews, are definitely worth checking out if you want to try something different. 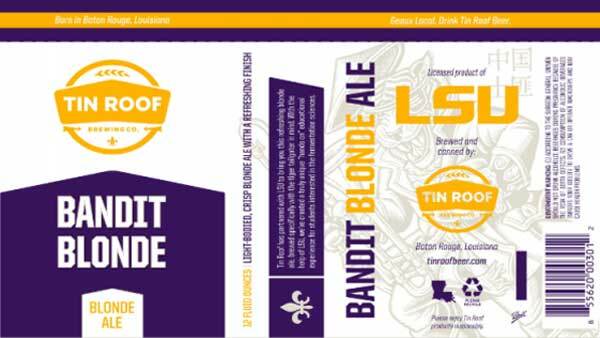 This isn't a huge surprise due to the backlash from some people within the LSU community and the difficult licensing process, but it's still disappointing that the LSU / Tin Roof beer project is officially over. Here's the article on WAFB, or on the Business Report if that's more your style, but basically LSU has decided not to continue to pursue licensing and has removed the beer from its agenda. 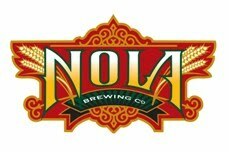 So what does that really mean to Baton Rouge beer drinkers? Not a whole lot... the beer is already out as Bandit Blonde on tap around town and will continue to be produced as the Bandit Blonde as far as I know. And I can't see any reason not to as the name alone presents no licensing or copyright problems. All this really means is that the cans, when released, won't be adorned with any LSU logos. What I really want to know is what this might do (if anything) to the potential education tie-ins between LSU and Tin Roof? It seemed to me that it would be a great opportunity for students to get hands on with the brewing process as part of LSU's Department of Food Science. It would be a shame to miss out on that aspect of the partnership just because the beer licensing didn't work out. Yeah, I know, we don't get Dogfish Head here, but I know a lot of you make trips to Houston on occasion, or perhaps the Florida panhandle where the DFH beers can be found. If you can't make a beer run, maybe you have a friend or family member that can. So, if you get the chance, here are some of the Dogfish Head upcoming special releases, via their facebook page. January beer release updates for ya! Tweason’ale – will begin shipping to wholesalers the week of 1/16 and should be hitting retail between 1/23 and into early Feb (depending on when your local wholesaler takes delivery). Namaste – will begin shipping to wholesalers the week of 1/30 and should be hitting retail between in early Feb.
Noble Rot – will begin shipping to wholesalers the week of 1/23 and should begin hitting retail the week of 1/30. 2011 World Wide Stout – will begin shipping to wholesale the week of 1/23 and will begin hitting retail the week of 1/30. Of all these, the one I want to try the most is the World Wide Stout, so I'll be on the lookout for that one, and I wouldn't pass up the other three! It looks like Bayou Teche Brewing is about to (or maybe just did!) 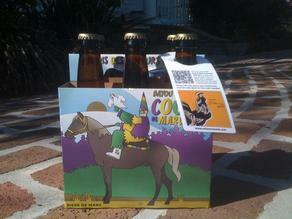 release their latest brew, a French farmhouse styled beer called Courir de Mardi Gras. The full press release can be checked out on The Beer In Me forum, but I'm excited to find and try this latest release. I've never been a big fan of the LA 31 Biere Pale but all the other Bayou Teche beers have been awesome and they have a knack for hitting on the local culture and ingredients. If anyone sees the 6-pack around Baton Rouge, be sure to let me know... I'll do the same.